Rachel qualified as a physiotherapist in 1975 having trained at St Mary’s Hospital, London. In the late 1970’s she took a career break to help set up the Neal’s Yard Bakery Cooperative where she became increasingly interested in the effects of nutrition on health and wellbeing. Before leaving the Bakery she wrote the “Neal’s Yard Bakery Wholefood Cookbook” and then moved to the Forest of Dean. Here she brushed up her physio skills by teaching Anatomy and Physiology at the College for the Blind in Hereford before rejoining the NHS where she worked for the next 25 years focusing on clients with Neurological, Complex Learning and Physical Disabilities and Mental health problems. 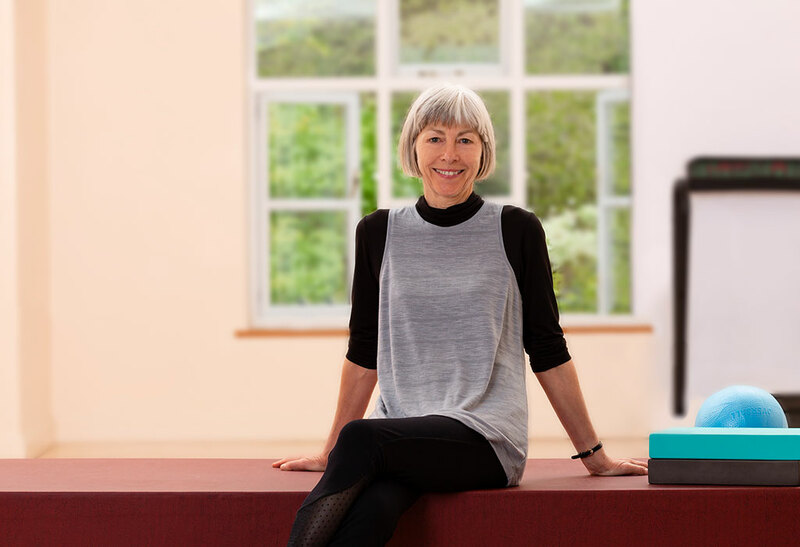 After retirement, she was encouraged and supported by Pip and the team at Viney Hall to train as a Pilates teacher which she squeezes in between dog walking, gardening, babysitting, volunteering (Malawi, Ethiopia, Bangladesh), travelling and all the myriad of other things which fill your life when you retire!